Mega man 4 was the first game in the series to let you charge up your shots. Capcom called this new ability the Mega Buster, an upgraded version of Mega Man’s blaster that was first introduced into the world 25 years ago today. The new gun fundamentally changed how people approached the game in ways that not even its creators were able to predict. 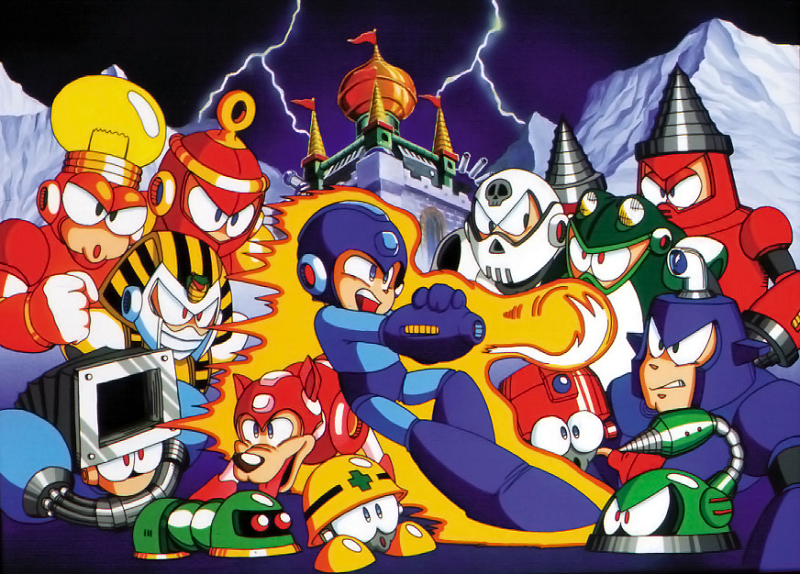 While Keiji Inafune’s name is the one that remains synonymous with the series, it was an artist and designer by the name of Hayato Kaji who came up with the idea to let Mega Man charge up his shot if the player held down the “B” button. Up to that point, the series had been predicated on Mega Man firing strings of pellets at enemies while running and hopping awkwardly around the screen. It was the opposite of intuitive, especially compared to the well-tuned physics of Nintendo’s Mario series. 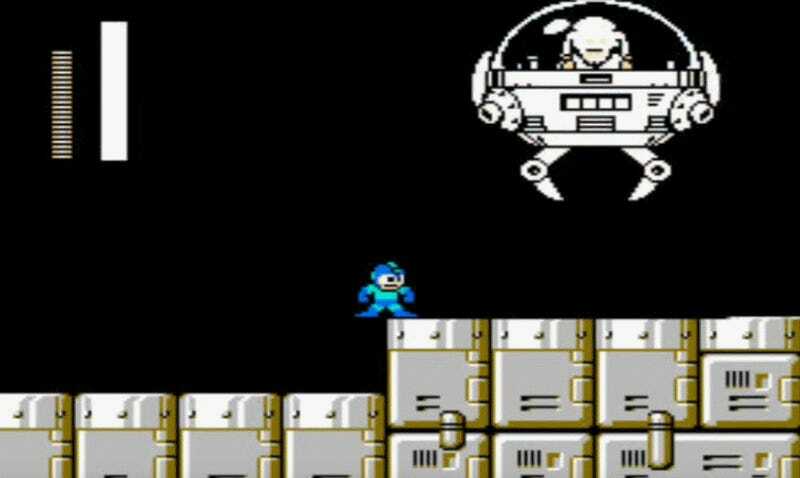 Because of how the games limited Mega Man’s maneuverability and timed the windows for firing accurately on targets, mastering each level required adapting fully to the logic that had been employed by their creators. In Super Mario Bros. its possible to skate by on a “feel” for the way the game moves, in no small part because of how charitably it approximates the way we understand real objects to accelerate and slow down. 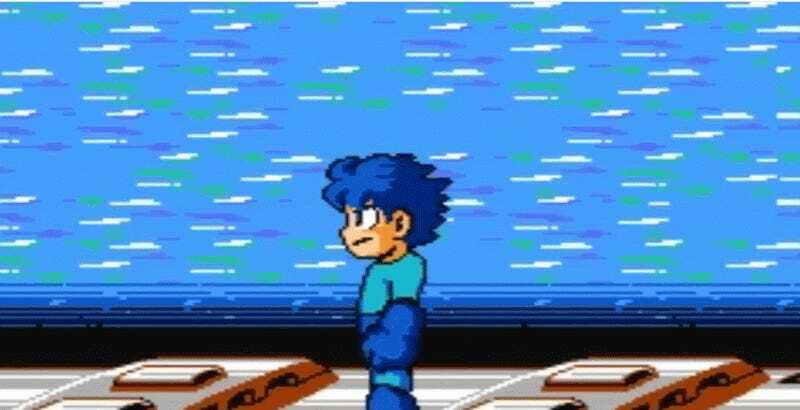 In the early Mega Man games, the titular Blue Bomber moves more precisely. Their worlds are weighted to discourage improvisation, instead demanding attention to the detailed timing and patterns of moving platforms and enemies’ attacks. And not unlike the Dark Souls series, becoming intimately acquainted with these nuances was a right of passage. Whether or not this made the games more fun or interesting, it certainly made them more personal. But Mega Man 4 changed all of that. Letting players charge up their basic attack helped flatten the game out. The buster could now be charged to two different levels. The first of fired a blast with a larger radius than normal that would cut through anything it destroyed, while the second unleashed a shot with an even larger radius that did three times as much damage as a normal attack. It was another tool in Mega Man’s arsenal, but unlike the slide dash that was added in Mega Man 3, it was one that overshadowed everything that was previously in the tool box. It made the game quicker, and easier, allowing Mega Man to sweep through levels more confidently with a charged shot always at the ready. Platforming sections became less treacherous since the upgraded blast could strike multiple enemies at once, and the powers taken from fallen robot masters became less important. Why bother with Toad Man’s Rain Flush when Mega Man’s base attack was already so versatile? It didn’t help much that Mega Man 4 had some of the worst boss designs in the entire series. In addition to being notable for the Mega Buster, Mega Man 4 was also a turning point for the series in terms of quality. If Mega man 3 was the pinnacle of what the series achieved on the NES, Mega Man 4 was the start of a trajectory that would end in Mega Man 6, a game that was more pastiche than pioneering and which was best known for appearing on the NES in North America months after Mega Man X had already come out on the SNES. With 4, the robot master designs, which were selected from a contest for fan entries, became less imaginative and more lazy. Each game has always had a weakest link in the robot master chain, but Toad Man introduced a new low. The fans whose designs were chosen to eventually appear in the game all received golden cartridges of Mega Man 4. As a result, there are eight in existence today, all of which go for $1,000s today in collectors markets. Most of the bosses themselves are much better forgotten. Released in 1994, it only took two years for Mega Man 4 to be followed by Mega Man X on the SNES, which in many ways is the successor the game deserves. The fast-paced wall grappling and assortment of chargeable special attacks in X capitalized on the vision laid out in the chargeable blaster in a way 4 never could. The spin-off took the new tool set, including the ability to dash mid-air and off walls, and used it to pivot away from the bullet hell arcade sensibility of the series that spawned it, producing something that felt much more like Mario with a gun than traditional Mega Man. When Capcom decided to revert back to the regular, nonchargeable blaster for Mega Man 9 and 10, it made sense. The spirit of the the series’ NES heyday didn’t lie in flashy moves or powerful explosions, but in a vulnerable little blue sprite battling to conquer forces much more powerful than him; closer to survivor horror than science-fiction power fantasy. As a result, Mega Man 4 has always occupied an precarious spot in the series legacy: too meddlesome and radical for purists but too unpolished and incomplete for fans of the series SNES years. Revolutionaries who fall short have a knack for being forgotten.